Orthodontic problems are fairly common amongst Dr. James Altomare’s patients. Alignment problems can make oral functions difficult, cause discomfort, and affect the appearance of the smile. 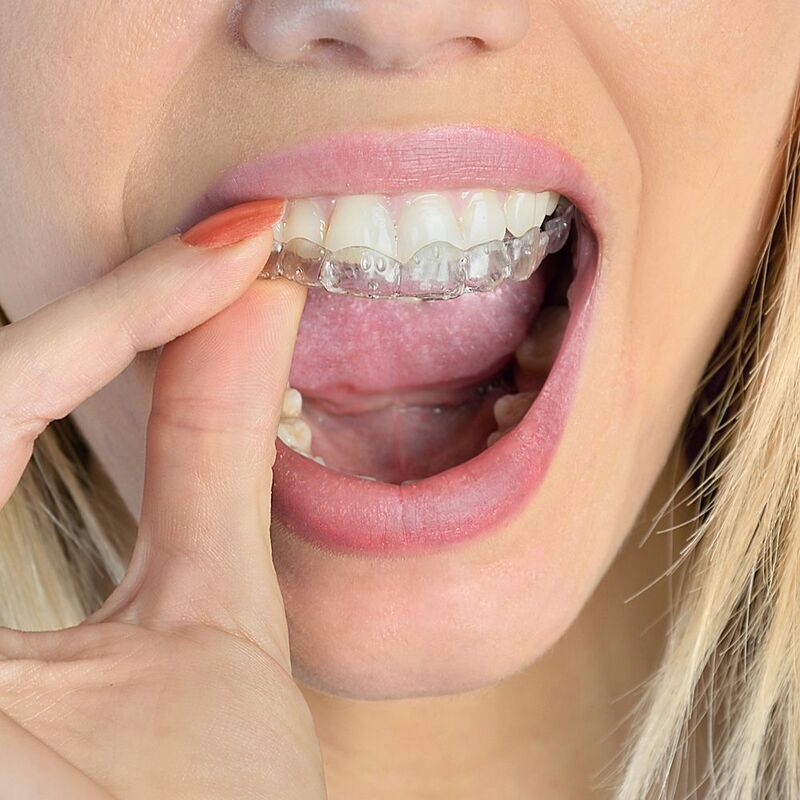 Orthodontic treatments such as Invisalign® correct a misaligned bite and crooked teeth to improve the health, function, and aesthetics of the smile. Invisalign® is an orthodontic alternative to traditional braces that is much more convenient, comfortable, and attractive than metal braces, making it a popular choice for our teen patients. Dr. Altomare is happy to discuss whether Invisalign® is a good choice for his teen patients. To learn more about Invisalign® for teens, contact our Skillman practice today. Invisalign® is known as invisible braces because it uses clear plastic aligners to gradually shift the teeth and improve the bite. These aligners fit closely over the teeth and are barely visible to the naked eye. Because they lack the wires and brackets of traditional braces, many question if or how they actually work. Prior to Invisalign® treatment, we use a series of diagnostic tools to determine if Invisalign® treatment is right for the patient. If we believe that Invisalign® can give patients the straighter teeth they desire, we use computer imaging to create a custom treatment plan that will use a series of aligners to correct the unique alignment problems. Each aligner is used for about two weeks before the patient use the next set in the series. By progressing through these series of aligners, we place enough pressure on the teeth to improve their position and correct the patient’s bite. If used properly, Invisalign® aligners can correct alignment problems for teen and adult patients. Are Invisalign® Aligners Right for Teens? Will my teen wear Invisalign® as directed? Invisalign® aligners can be removed, but treatment will not be effective if the aligners are not worn for a minimum of 20 to 22 hours each day. Will my teen lose their Invisalign® aligners? Since Invisalign® aligners can be removed for eating, drinking, and brushing, it is possible to lose them. To accommodate teen patients, Invisalign® for teens does include six replacement aligners. Have your teen’s wisdom teeth come in? The wisdom teen usually come in during a patient’s late teen or early adult years. Dr. Altomare offers Invisalign® aligners with tabs that can accommodate the eruption of wisdom teeth. Invisalign® invisible braces are a great orthodontic treatment option for those patients who want to straighten their teeth and improve their bite without subjecting themselves to uncomfortable and unattractive metal braces. To learn if Invisalign® treatment is the right option for you or your teen, schedule an appointment with Dr. James Altomare at your earliest convenience.